Pernod Ricard's managing director of brands says creativity and innovation are central to success. Here he discusses the potential of social media and the perils of price promotions. Although Pernod Ricard owns some of the oldest wine and spirit brands in the world, it manages to balance this heritage with an intense focus on innovation. Much of the credit for successfully achieving this must go to Thierry Billot, the company's influential and charismatic managing director of brands. Billot, who is based at Pernod Ricard's Paris headquarters, where his office is adorned with a signed poster of Kevin Spacey (a brand ambassador for Jameson whiskey), talks to Marketing about avoiding the lure of promotions and driving an innovation agenda throughout the business. How do you communicate the importance of marketing across the business? We want to be leaders in what we do in terms of marketing. If we simply do what everyone else does, there is no competitive advantage. We want to push marketing and develop skills. We have a central marketing function which develops and defines what the next steps are to help us be different and creative. We are also involved in the leadership team and in creating fresh thinking and training programmes to change the business. You have been a financial director and a chief executive. What advice would you give to marketers about how to better connect with the board? Marketing is recognised at Pernod Ricard as a key lever to build our brand. We work on the substance itself, the brand truths, and at the same time we are very reductive; the equity is in the balance sheet. Marketing is one of the two feet of Pernod Ricard; it's the equity we build for the long term, and it's the activity we do at point of purchase. We manage to find a balance between the two. How is digital changing the way you communicate with consumers? We use digital a lot. Today we can't develop a communications platform without a digital element. It is not that the story we are telling has changed; it is just the way we are telling it is changing. It is definitely a fully integrated approach. What impact is the growth of social media having on your business? We are shifting from classical marketing to social media, but it is not about putting everything into social. The reach of classical media can be broader than that of social media. The key is how we use digital media and how we harness the mobility of social media to influence consumers at the point of purchase. The influence of mobile media will only get bigger. How do you maintain your premium price positioning in the face of merciless discounting? We have very strict guidelines on where we want our brands to be positioned and we aren't going to sacrifice brand equity to promotions. If you follow the road of price promotions, you will quickly realise it's a dead end, with no profits. Consumers get confused by price-cutting and it is difficult to bounce back from that. [Maintaining our premium positioning] is our point of difference from the competition. How has this focus on premiumisation had an impact on the Jacob's Creek wine brand? It has had an impact on the Jacob's Creek brand as we have lost (volume sales of) cases by placing value before volume. The price positioning of Jacob's Creek is 20% above the average of the Australian wine category but it's key that we build on this premium. We have done this by creating the room to invest in our sponsorship of The Jonathan Ross Show and our partnership with Andre Agassi. The key is to build equity to make the brand aspirational. You are cutting your marketing spend in Western Europe. Can you talk about where these cuts are going to be made? In countries in Western Europe we are trying to protect our operational margins. We are not cutting spend per se, we are adjusting [budgets] to the local trends to maintain our share of voice. What do you see as the biggest opportunity in marketing right now? There are tremendous opportunities at point of purchase – you must look at a shelf in a store as a medium. The mobility of the internet is key; how you can harness that to be front of mind among consumers is almost untapped by the consumer-goods industries. When you link that to social media, there are many opportunities. The true revolution of the internet, that we can be with our consumers at any time, and this ability to connect, are key. Thierry Billot joined Pernod Ricard in 1982 as an internal auditor. He was appointed finance director in 1986, before becoming chairman and chief executive of Austin Nichols in the US. 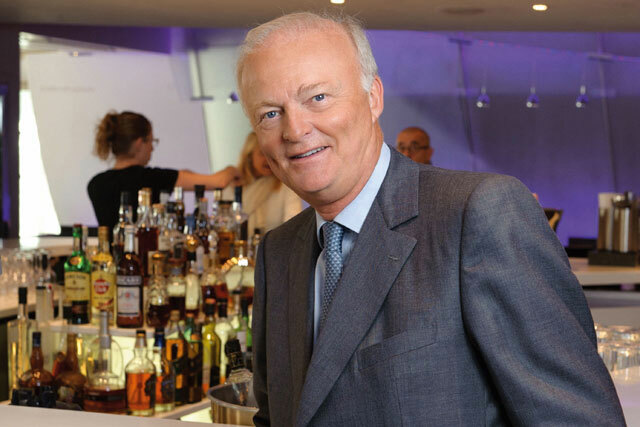 In 1996 he was appointed chairman and chief executive of Pernod and in 2002 he took up the role of chairman and chief executive of Pernod Ricard Europe. He became managing director of brands for the company in July 2008.